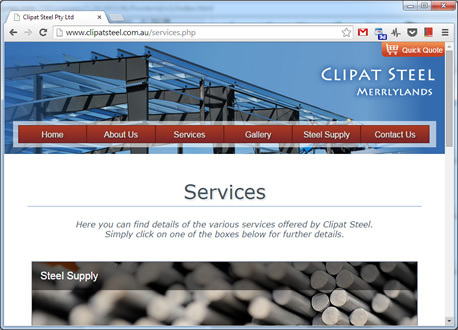 Are you looking for the perfect website design to complement your company, product or service? Whether you are after a simple business page to show off your products or an exciting, interactive and dynamic webpage which can engage your audience and can be edited in a snap, I can build you the website that you have always dreamed of! 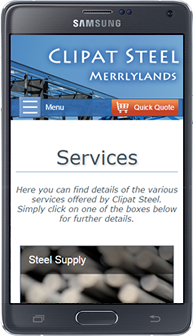 This beautiful and responsive website for a service and sales based company scales effectively to fit any device it is displayed on, from a desktop browser down to a tablet or mobile phone. This website for a Youth Orchestra based in the Campbelltown area features many, dynamic features which means that concert details, flyers and website content can be added and edited by anyone on the committee directly from a desktop, tablet or mobile phone, without requiring any knowledge of web design! The website also includes many advanced, convenience-oriented features for concert-goers such as adding an event directly into your calendar and e-mailing concert details to yourself or a friend.